While the fundamental function of exercise treadmills hasn’t changed for decades, the safety of the running surface has evolved tremendously. Chiropractic care encourages a healthy body, fitness level, and well-being. 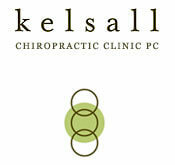 Good spinal health is the key to an active and robust life. Through the right equipment and proper techniques, you’ll be able to maintain your health and wellness. Today, treadmills offer many benefits over outdoor running, including reduced impact on joints and bones. With numerous makes and models available, determining which treadmill to buy may feel overwhelming. To simplify the search, runners and walkers alike should first consider the running surface, and seek treadmills with adjustable decks and belt systems designed to absorb the impact of each step. For most healthy adults, the Department of Health and Human Services recommends at least 150 minutes of moderate aerobic activity or 75 minutes of vigorous aerobic activity each week. With winter approaching, running outside, swimming, and hiking may no longer be viable options for cardiovascular exercise. As a low-impact alternative, consider a treadmill equipped with adjustable cushioning and an orthopedic belt to reduce your risk of injury to the connective tissues in your hips, ankles and knees. An increasingly popular feature on residential treadmills called “adjustable cushioning” enables users to alter the amount of shock the deck absorbs, thereby changing the level of softness or firmness they feel. In this design the front of the treadmill deck typically feels softer and provides maximum cushioning and absorption since this is where each foot strikes. Whereas, the back of the treadmill provides a firmer stable cushioning for pushing off with the back foot, and the middle area — commonly referred to as the “transition zone” — contains moderate cushioning. The TRUE Fitness PS800 treadmill pictured above includes TRUE’s Soft System® which allows users to modify the firmness of the running belt for a tailored experience. Adjusting the impact on a scale of 1 to 8 (with 1 being the softest and 8 the hardest) provides the perfect impact levels for every person no matter the fitness level, injury level, or otherwise. With adjustable cushioning, the treadmill deck can be personalized to each user’s fitness goals. For instance, if you are training to run outside on a hard surface like pavement, adjusting the treadmill’s deck to a harder scale will acclimate your body to the running surface. Likewise, a softer deck is easier on your joints while creating resistance — perfect for building up leg strength while recovering from injuries. Treadmill workouts are even safer when adjustable cushioning is combined with an orthopedic belt. Thicker than conventional belts, orthopedic belts help to further absorb the shock of impact as each foot strikes the deck. Orthopedic belts are easy to distinguish as they are noticeably thicker and typically have ribbed surfaces that provide better grip for running shoes while helping to absorb impact. Many new treadmills come equipped with orthopedic belts, but you can always replace the belt on your existing treadmill so long as the rollers are at least 2.4” wide. Thicker belts can cause wear on your treadmill’s roller bearings and drive system as they generate more heat. However, many premium manufacturers have specifically designed orthopedic belts to “breathe,” allowing heat to dissipate, and are able to provide the advantages of an orthopedic belt without creating maintenance issues. Orthopedic belts take your comfort to the next level, and help make your treadmill workout even safer for your joints. They are thicker than regular treadmill belts and designed to further reduce the amount of concussion when you walk or run. When it comes to fitness equipment, cheaper is not always better as there are significant differences in the quality and reliability of products from different brands. While two treadmills may list the same features and look similar online, they’ll likely offer different warranties and feel very different in person. For this reason, it makes sense to put on your running shoes and actually test the treadmill deck and belt prior to purchasing. Avoid infomercials and look for a fitness equipment store that has been in business for decades, while maintaining a strong track record of customer happiness. Fitness Gallery, headquartered in Denver, Colorado, has remained dedicated to the art of good health, distributing the world’s finest fitness equipment since 1997. With over 30 different models of treadmills to choose from, Fitness Gallery has earned strong reputation by only working with premium manufacturers like TRUE Fitness and TuffStuff, and by offering excellent service (4.9 Star Google Customer Review Rating). There’s nothing more important than your health, if you’re looking for a quality low-impact treadmill, then give us a call today.